Everything throughout www.WildWillpower.org & each of the websites described below are being peaceable assembled as modes of First Amendment expression. All content throughout each of these websites (except for www.RichardLonewolf.com) are solely owned by Wild Willpower PAC. The content throughout the sites is being made available only for non-commercial purposes unto viewers; copying is stealing & violators will be prosecuted. Each Civilian working to make WIld Willpower possible has a stake in making sure that this ancient & sacred knowledge of all our ancestors is not being used in such a way which oppresses others or desecrates the land, and that it is being done in such a way which honors and accommodates the teachers & developers, and the sovereign native tribal people & tribes we work with & who are also working to make this happen for the benefit of all rather than for the manipulative benefit of some; we are working diligently to provide a freedom-enabling gift for the world; not a corporate behemoth running on autopilot! We are building this for everybody, & stealing from anybody is illegal, immoral, & punishable by law; if you like what you see, please get involved— we’re actually pretty nice people & we really look forward to hearing from you AND we’ll all benefit from working together! 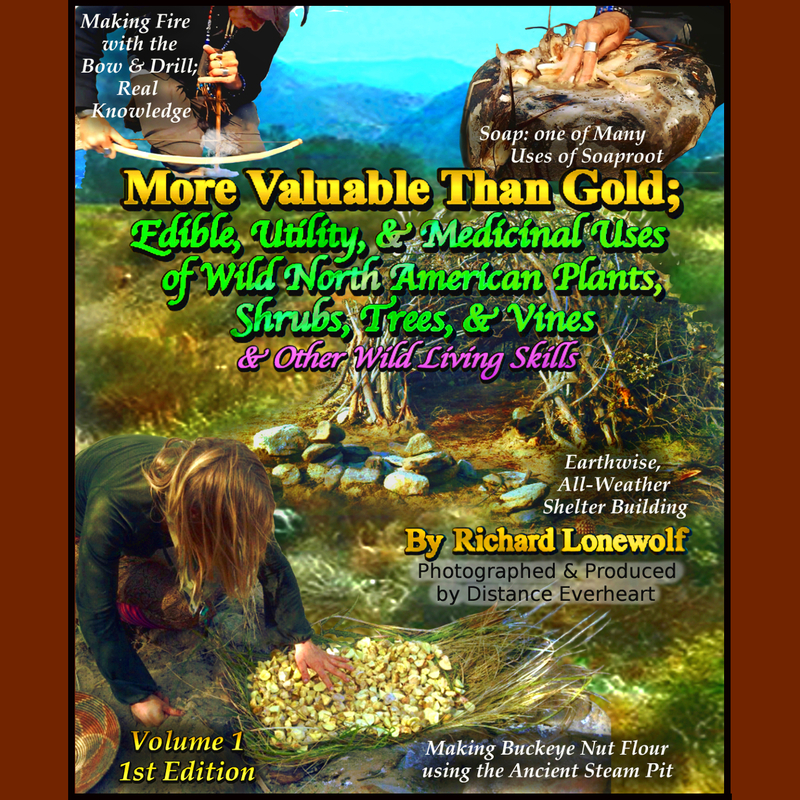 We built www.RichardLonewolf.com between 2010 & 2015 after witnessing difficulties Ethnobotany, Survival, & Wild Living Skills Expert Richard Lonewolf was facing while trying to connect people with his unique sets of skills without technical assistance; not only this, but after exploring & then finding that most of the knowledge he was professing (& outright showing!) was not to be found online, it became clear that a “technological bridge” was needed to connect this unique teacher with the world. The plan to aid humanity & the new technology (below) would not have been discovered had our hero Lonewolf not devoted his life to recovering the nearly-lost “combined skills of our ancestors. www.RichardLonewolf.com; he’s a good teacher! Californian’s need a drought-tolerant food supply NOW, & Kern River Wildharvesting Cooperative (KRWC) has a plan that will restore native ecosystems, prevent wildfires, AND— with the help of some pretty amazing industrial equipment— will provide a myriad of wild foods & herbal medicines to be made available only in bulk sections OR planet–considerate packaging in honor & support of The Zero-Trash Commitment to help “eliminate waste on the consumer level”. Employees to be equipped with Lonewolf’s Survival Kit as well as other products Lonewolf recommends. KRWC workers will also be trained by the school, pending funding support. WildLivingSkills.org is currently an outline from which the futuristic piece of new technology, The WIld Living Skills Database & Smartphone App, is being developed from. With GPS, time-of-year, & elevation responsive accuracy, anyone will be able to identify nearly any biological organism on the planet within only about 5 questions, & then learn step-by-step how to process the plant, shrub, tree, mushrooms, etc. for their traditional edible, utility, & medicinal uses, as well as “Positive-Impact Harvesting Techniques” associated with each species. Not only this, but a plethora of other ancient tribal living skills are also being mapped throughout the site, and, so authors aren’t being ripped off, people can simply purchase online books to have the pages “unlocked” throughout the site. The first book we intend to do this with is called MORE VALUABLE THAN GOLD by Distance & Lonewolf, & soon, pending further development, books on mycology (mushrooms), lichens, & other related topics will also be made available throughout the site as well. The site will then be able to be used to coordinate with forest officials of National Forests, State Parks, BLM Lands, & other wildlands areas because the forest service officials will know the cooperatives will cause benefit rather than detriment to the health of native ecosystems AND they’ll prevent wildfires, officials can approve permits with confidence. Within a few short years U.S. Citizens will be well on our way to providing ourselves & others with our newfound ecologically-beneficial production–based economy which simultaneously provides a healthy, drought-tolerant food supply! If you’d like to offer some much-needed $$$$ to Wild Willpower PAC to help make it happen asap for public, please contact Distance@WildWillpower.org; we have the qualifications & willpower to do it. This site starts off by giving you a tour of United States history like its never been re-examined before. From color-coordinated, need-to-know U.S. Codes to very powerful court orders explained, to perhaps the most simple-to-understance breakdown of the multiple justice systems currently operating from within the nation (yes, multiple, unbeknownst to the Citizenry!) , “The Public Intelligence Agency” is becoming a very powerful tool to help lawfully corner & overturn injustice from within our governmental ranks (& other places as well). There’s never been a site anything like this one; this is going to help The People a lot!! Thank you so much for reading through & learning about Wild Willpower; its been quite a journey!! Feel free to get evolved/involved with us. We love you!!!!! And now… sing it Frank Sinatra!! www.WildWillpower.org AND all our webpages & publications have been peaceably assembled as a loving form of First Amendment expression. We finally made it, America.